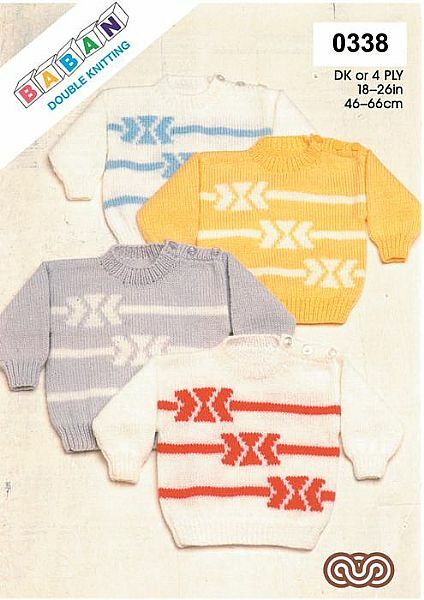 These sweaters feature a patterned design and are knitted in Double knit or 4ply yarn. In sizes from 46cm-66cm(18in-26in). Hooks required 2 3/4mm & 3 1/4mm needles for 4ply. 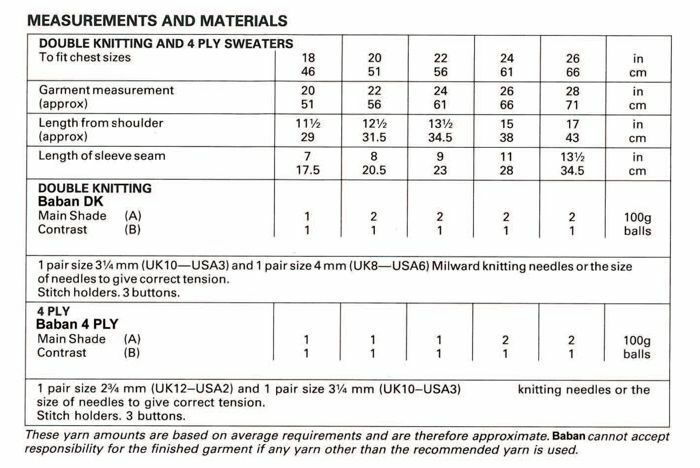 3 1/4mm & 4mm needles for DK.